Did Sarah Palin really blame President Obama for her son’s PTSD? I’m thinking that Sarah Palin, like Trump, has a serious case of runaway motor mouth without brakes, because she acts like the dumb blond stereotype, and she isn’t even a blond. Well, “Sarah Palin’s freestyle performance earlier this week during her endorsement of Donald Trump for president drew plenty of attention. But what is drawing the ire of some vets are her comments appearing to blame President Barack Obama for her son’s PTSD, which led to his arrest for domestic violence on Jan. 18.” – Foreign Policy’s morning situation report. Uh, Track Palin was an Army reservist who performed a tour of duty in Iraq in 2008, and Barack Obama wasn’t sworn in as president for his first term until January 20, 2009. Besides being a loud mouth and a billionaire, who is the man Sarah endorsed for president? Donald Trump currently holds the title as the biggest liar ever according to fact check sites. FactCheck.org has crowned Trump the King of Whoppers. FactCheck.org said, “It’s been a banner year for political whoppers — and for one teller of tall tales in particular: Donald Trump. “In the 12 years of FactCheck.org’s existence, we’ve never seen his match. Politifact.com awarded Trumps’ statement the “2015 Lie of the Year” for only being totally correct in his claims and statements 1% of the time. To discover who is really responsible for Track Palin’s PTSD, Sarah Palin would have to answer who started the wars in Iraq and Afghanistan — hint, it wasn’t President Obama? Sarah Palin would also have to answer what incident took place in New York City that caused the deaths of several thousand noncombatants that led to the wars in Iraq and Afghanistan — hint, it wasn’t something President Obama did, because the war in Afghanistan started on October 7, 2001 and the Iraq War started on March 20, 2003. I wonder if Sara Palin knows who the president was on those two dates. I think it is time to stop using the term dumb blond as a stereotype for an attractive but unintelligent woman who can’t do anything right, and all dumb blond jokes must be revised, and here are the first two revisions. What does a Sarah Palin do when her computer freezes? She sticks it in the microwave! Why are there six bullet holes in Sarah Palins mirror? Because she tried to kill herself. I can’t remember when I paid $3 at Half Price Books for an audio book of Pardonable Lies by Jacqueline Winspear. You see, I enjoy reading. That’s why I buy books—audio and the old fashioned kind on paper—and DVD’s of films and TV series faster than I watch or read/listen to them, and they are all around me in the study where I write. They are also books in storage under the house. I think I’ll have to live another thousand years to read them all—as long as I don’t buy more. In an attempt to read faster, I started reading with my ears when I’m in the car on the way to the farmer’s market, Costco, Trader Joe’s and Whole Foods. And I drive in the slow lane to gain more listening time. The reason I am now a fan of Winspear’s work, and specifically Maisie Dobbs, the main character in eleven of the author’s twelve novels, is because Maisie has a serious and convincing case of PTSD, and I came home in 1966 from Vietnam with PTSD. As I wrote this post, I visited the author’s website, and saw that Pardonable Lies is the 3rd novel in the Maisie Dobbs series, and I smiled, because that means I have ten more to read—hopefully with my ears since I’m reading about four or five audio books to every tree book. This is where I copy and paste from Winspear’s page on The World of Maisie Dobbs: “The period of time from the mid-1900’s until the 1930’s was a time of unprecedented change in Britain. The devastation of The Great War, mass emigration to America and Canada, rapid social changes—not least votes for women—to be followed by the Roaring Twenties, the General Strike and the Depression. It was a time of burgeoning artistic expression, with the movements that we now know as Art Nouveau and Art Deco demonstrating a dramatic departure from the Victorian age. “The Great War demanded that there was hardly a field of endeavor left untouched by a woman’s hand, so that men could be released for the battlefield. The first women joined the police force, they worked in construction, on the trains and buses, on the land and in all manner of military support roles. The made munitions and they worked close to the front lines as nurses, ambulance drivers; as intelligence agents and code-breakers. And after the war, it was these same remarkable women who, more often than not, faced a life alone, for the men they might have married had been lost to war. “It was also during these first decades of the century that scientific methods of detection were being rapidly developed. From medicine to international travel to the study of the human mind, all benefited from a time that was both terrifyingly painful in terms of the cost to human life, and yet demonstrated a hunger for innovation and a fascination with the avant-garde. This is a love story that might cost the lovers everything—even their lives. 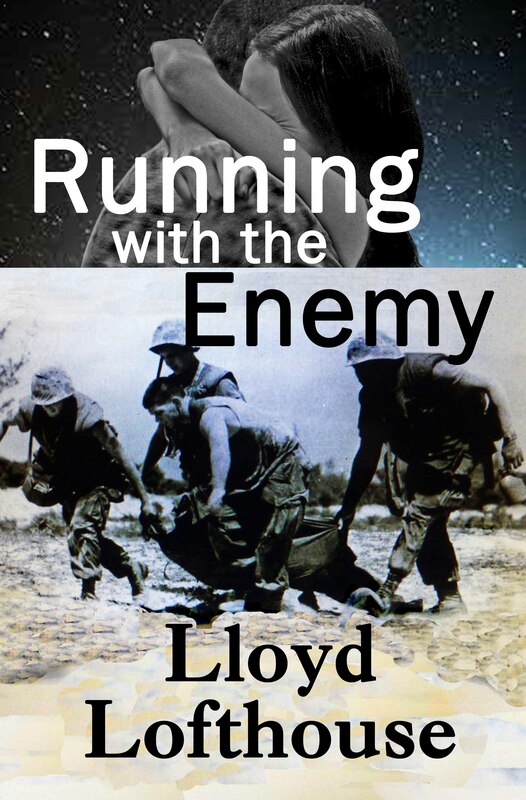 It’s been forty-seven years since I served in Vietnam, and over those years, the few times I’ve been in threatening situations, my thoughts are not of running away or breaking down in tears of fear. Instead, I’m thinking of the fastest way I can kill the person I perceive as a threat. If I’m close enough, I’ll be looking at his throat thinking about digging my teeth in and tearing out his jugular. In the film “Patton”—played by George C. Scott—there is a scene where the general explodes in anger at troops who were in military hospitals suffering from severe PTSD—known as battle fatigue or shell shock back then. The violence they had experienced had traumatized them severely. But General Patton thought anyone who suffered from PTSD was a coward and a fake. I think that Russell Ireland, who owns the Big I’s Restaurant in Oxford, Massachusetts, is evidently an uneducated throw back to that World War II era, who does not think a war veteran suffering from PTSD deserves the same respect as a vet who lost body parts and probably also suffers from PTSD. To Ireland’s way of thinking—just like General Patton—if the injury isn’t physical, it doesn’t count. For example, missing body parts. I never know when my PTSD is going to flare or what may trigger it. When I’m awake, I’m always vigilant of my surroundings watching for threats. At night and early morning hours I often wake up and see enemy combatants in the darkness—they seem real but I’ve experienced this so many times over the decades that I often stare at them and maybe use a flashlight I keep by my bed to make sure it isn’t real before I can go back to sleep. And by my side is a .45 caliber Glock automatic with a loaded magazine. In the closet is a pump shotgun. In the gun safe are more weapons and boxes of ammo. I did not buy these weapons to go hunting. I bought these weapons so I could sleep at night knowing I was prepared for the unexpected that my PTSD keeps reminding me is out there. Watching the daily news also doesn’t help so I avoid it most of the time. Before Vietnam, I read newspapers. After Vietnam, I stopped reading them. Newspapers are filled with reminders of crimes and violence in the United States that may trigger PTSD symptoms. PTSD wasn’t recognized until the 1980s and then vets started to receive help from the VA. I have carried the dark shadow of my PTSD with me since 1966 and didn’t get any help from the VA until after 2005 when I discovered that I was eligible. And ignorant idiots like Russell Ireland don’t have any idea about the time bomb they may be triggering when they confront a vet with combat induced PTSD. He may have been fortunate that James Glaser had his trained service dog by his side. By the way, it’s been forty-seven years since I served in Vietnam and I haven’t killed or physical attacked anyone yet. As for Dr. Phil, I’ve never been impressed by his show. It’s more of a shock and awe thing promoted by Oprah [she’s the billionaire who owns the show] while Dr. Phil acts the guru to an ignorant mob of fools—Dr. Phil’s net worth is estimated to be $200 million or more earned from his show. Charlene Sakoda writing for Odd News reported that James Glaser, a retired Air Force veteran, who served in Iraq, was forced to leave a restaurant with his service dog trained to help him keep his PTSD under control. When the police officer said the papers the vet carried on him proved the dog was not fake, Ireland said, “I don’t give a [expletive]”. Ireland was an ignorant and biased fool. It seems that even Dr. Phil is one of those ignorant fools [watch the following video to see what I mean]. And a PTSD service dog is trained to deal with and disarm a PTSD reaction to a situation. My combat induced PTSD was rated at 30% by the VA, and that was decided after a number of sessions with a VA counselor and Q&A sessions with other VA counselors and shrinks. And I’ve met a vet with a 100% PTSD disability who suffered much worse in Vietnam. Just the sound of a helicopter flying overhead caused him to suffer an awake flashback in daylight [click on A Prisoner of War for Life to discover more]. Suffering from a PTSD flashback does not mean vets turn into a mass of quivering cowardly jello. In fact, the opposite may happen. I’ll explain in Part 2.